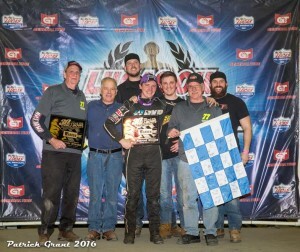 Alex Bright shines at Chili Bowl | Talking Speedway, Speedway news from around the world! Night one of the 30th Chili Bowl Nationals ends in the bright lights of the podium for Alex Bright, stunning drive from P8 to hold off. Joel Saldana and Zach Daum . Lap 11 saw Kyle Larson’s run from pole disrupted when he found a stalled car on the excit of turn 2 .Larson was able to restart from the rear of the field . Larson recovered to finish in 9th.During the race Darren Hagan flipped but was not injured . 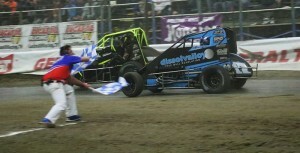 This entry was posted in Chili Bowl, General Speedway News, Midget Speedcars, The US Report, USAC Midgets by admin. Bookmark the permalink.